Everything’s better with dinosaurs! USA Today broke the news this morning that the upcoming 22nd season of Power Rangers will return to the tried-and-true dino theme, as Power Rangers Dino Charge. “We know fans will find this next season larger than life,” said Elie Dekel, President of Saban Brands, according to the USA Today article. The plot centers on extraterrestrial items known as Paragon Prisms, which were bestowed upon a dozen dinosaurs for protection millions of years ago. Thanks to the asteroid that wiped out the dinosaur population, the Prisms are now lost on Earth. 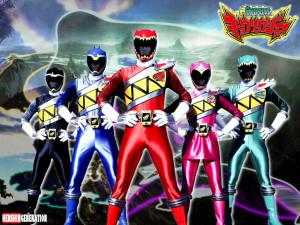 The show’s villains will be intergalactic bounty hunters looking to find the Prisms and use their power for evil, but a new team of dino-themed Power Rangers are formed to find and protect the powerful artifacts. This certainly keeps in line with Saban’s goal of hooking old fans in with nostalgia since the company reacquired the franchise. Samurai featured the return of fan-favorite character Bulk and a remix of the classic theme song, Megaforce was built to be a full homage to the first season, and the upcoming Super Megaforce is the big anniversary season packed with references to the past twenty years. 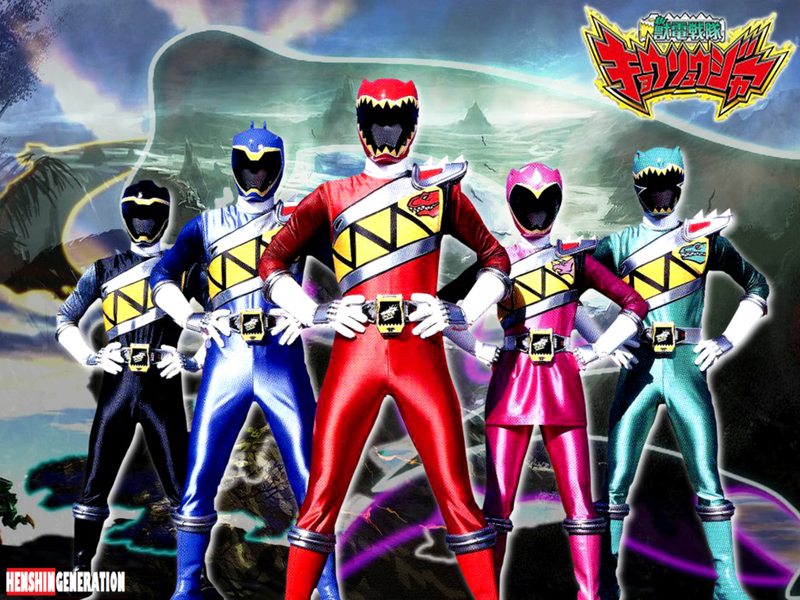 Dino Charge hearkens back to the original dinosaur theme of Mighty Morphin Power Rangers, a theme which was brought back in 2004 for the well-received Power Rangers Dino Thunder. That season, much like Megaforce, paid homage to the early high school days of the show, not to mention it featured the return of Jason David Frank as Tommy and a 500th episode special. While the reuse of the dinosaur theme is, of course, dependent on the Japanese Super Sentai material–Dino Charge is adapted from Zyuden Sentai Kyoryuger, in this case–it’s worth noting that an entire season, Tokumei Sentai Go-Busters, was skipped to jump to this dinosaur season. It remains to be seen if any Go-Busters material will be used in Dino Charge, which will presumably premiere in February 2015. This announcement comes with the current season, Power Rangers Super Megaforce, on the cusp of its premiere. This season officially debuts on Nickelodeon next Saturday, February 15 at 12p.m./11c. However, the Power Rangers Official Facebook revealed that it would make the premiere available online a week early–tomorrow, February 9 on Nick.com! Be sure to check out preview clips and cast images for the Super Megaforce premiere, and check back for more Power Rangers updates as more information is made available.